The 2018 Isuzu D-Max V-Cross gets a host of cosmetic and feature upgrades for the new year, while the powertrain remains the same. The 2018 Isuzu D-Max V-Cross with updates has been launched in the country and gets a host of new features and equipment on board. The updated D-Max V-Cross is available in two variants - Standard and High, and is priced at ₹ 15,76,240 and ₹ 14,26,241 (all prices, ex-showroom Chennai) respectively. 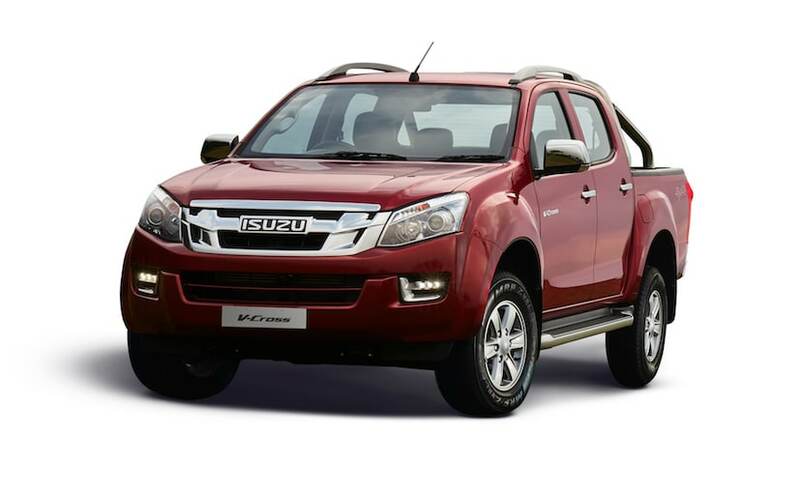 The Isuzu D-Max V-Cross is a fun off-roader that has found a strong liking in India. While the powertrain under the hood remains the same, the 2018 V-Cross is marginally more expensive than the previous version. hike in prices. 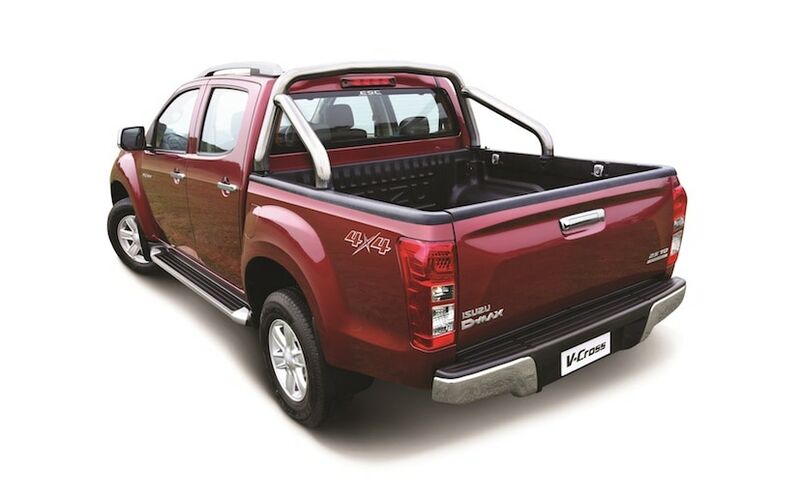 The premium pick-up was launched in the country in May 2016, and this is the first major upgrade to the model ever since. While retaining the same design language, the 2018 Isuzu D-Max V-Cross gets a host of exterior updates including LED DRLs instead of fog lamps, LED taillights and a redesigned tail-gate. The pick-up also features a new chrome bumper, and side steps as part of the update. 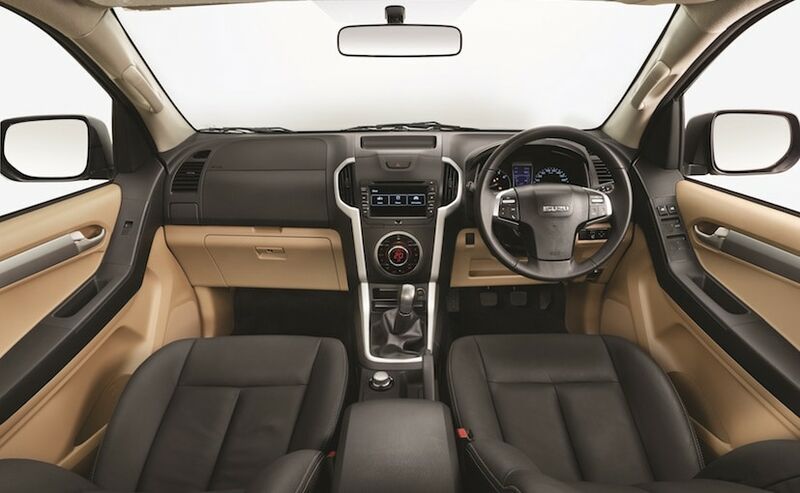 Inside, the cabin gets substantial updates on the 2018 D-Max V-Cross with dual-tone cabin with black leather seats, 6-way adjustable driver's seat, rear view camera and 2-DIN entertainment system. The off-roader now also comes with Auto Cruise Control for added comfort. The safety pack has seen a major upgrade on the 2018 Isuzu D-Max V-Cross that includes ABS, while features like Electronic Stability Control (ESC) and Traction Control System (TCS) are available on the range-topping 'High' trim. The new V-Cross also gets a completely new Ruby Red colour scheme in addition to the existing list including Orchid Brown, Cosmic Black, Titanium Silver, Obsidian Grey and Splash White. Under the hood, the 2018 Isuzu D-Max V-Cross continues to get the 2.5-litre diesel engine that churns out 132 bhp of max power and 320 Nm of peak torque. 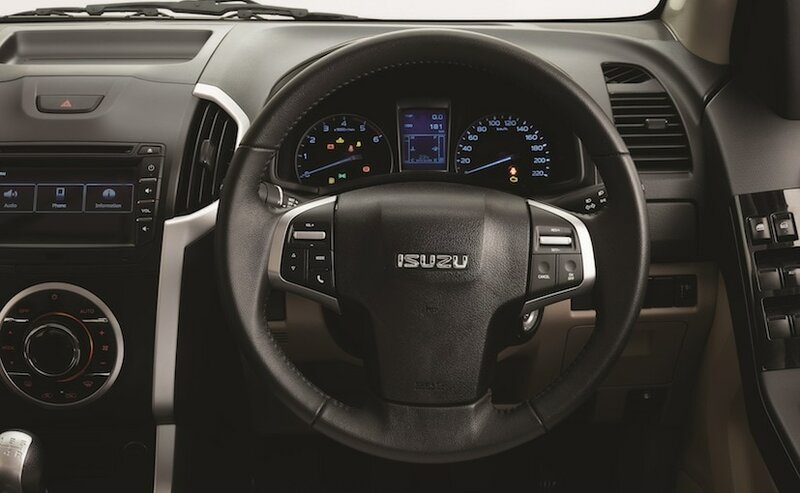 Isuzu continues to offer the 5-speed manual on the V-Cross that sends power to all four-wheels.